Was It a License or an Assignment? Steve Saleen makes high performance cars. He sold Saleen, Inc. in 2003 and left the company altogether in 2007. In 2008 Steve Saleen started a new company, Steve Saleen’s SMS Supercars. Saleen, Inc’s assets, including the right to use “Saleen” for superchargers, aftermarket parts and high-performance vehicles, was sold to MJ Acquistions earlier this year and Saleen, Inc. ceased operations. SMS Supercars and MJ Acquisitions are both showing cars at Mustang Week in Myrtle Beach, going on now. 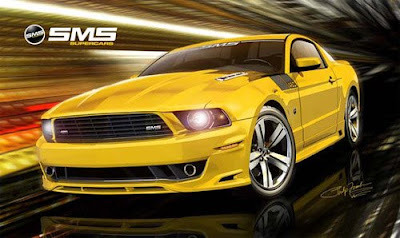 SMS Supercars will have the SMS 460 Mustang and MJ Acquisitions d/b/a Saleen Performance Vehicles will be there with an as-yet unnamed car. As you could have predicted, on July 17, Steve Saleen reportedly sued MJ Acquisitions in Superior Court in California, claiming that, while Saleen, Inc. may have had the right to use the name, successor MJ Acquisitions does not. The SMS Supercars press release on the suit is quoted here. MJ Acquisitions response quoted here. For what it’s worth, the trademark assignment database shows an assignment of the registrations. Assignment with reversion?